Westsail Owners Alliance - Post: "W32 On E-Bay"
Important information about this site! Why is this page here and not on the WOA website? Recently the Westsail Owners' Association website was moved to a new server that would allow the site to be more easily updated and maintained. While the basic content was successfuly transferred into the new site, a new Forum was started from scratch and the old Forum was converted to a collection of 41 PDF documents. Most of the Westsails are somewhere around 35 years old. They were well-built boats and most of the boats that were built are still sailing today... many half way 'round the world. But like all classic sailboats, they will all have problems over time, and most of the problems are relatively similar from boat to boat. There's a fair degree of likelihood that any problem that might come up has already been tackled by another owner. It's also fairly likely that the solution is buried somewhere in the archives of the Forum. Long ago, I started downloading and archiving the entire Westsail.org website, with periodic refreshes. I did this mainly because I wanted a localized version of the site that I could access while cruising remote corners of the world, with limited access to the Internet. Perhaps the biggest benefit, however, has been the major improvement in my ability to search more than 11,000 posts efficiently. It's likely that the old forum data could have been integrated with the new application, creating one contiguous and searchable source of information. But this would have required substantial programming and data manipulation and the decision was made by the WOA to take the current course. I therefore created this application as a means to preserve the seven years worth of resources that I consider to be incredibly valuable information for current and future Westsail owners. I hope you find it as useful as I have. Search "How" - There are two basic ways to make a search for content on this site and the methods will typically give you very different results. If you search with a "How" setting of "Text Strings", your search will look for one or more occurrences of the individual words, but these words need not be adjacent to one another. This method will typically give you the greatest number of results. If you search with a "How" setting of "Full Phrase", your submitted search words must all appear in the post, and they must be also be contiguous, and they must appear in the exact order entered. This setting will typically give you the most specific results, but understand that users do not always type things the way you expect. Search "Which" - You can modify your search results by determining whether or not all words in your search string must appear in the result set. If you search with a "Which" setting of "Any Word", your search will look for occurrences of one or more of the individual words. This method will typically give you the largest result set. If you search with a "Which" setting of "All Words", your search will look only for occurrences where all words appear. This method will typically give you the most specific result set and is a good way to limit results where one or more of the words is fairly common. Search "Where" - Determine which sections of the messages contain your search string. If you search with a "Where" setting of "Message Text", your search will look for occurrences only within the body of the message. This method will typically give you a smaller result set, but the does not give you unwanted results where the search string appears in a given user's screen name. If you search with a "Where" setting of "Text & Author", your search will add matches in the user name section to search results. This is especially useful where you want to find all occurrences of posts by a given user. Search "What" - This is where you must enter the word or words you wish to find. Simply enter the word or words you want to find into the box, separating the words by single spaces. Capitalization - All searches are performed in a case-insensitive manor. As such, proper capitalization is not a requirement for any match to be successful. Punctuation - All non-alphanumeric characters (excluding spaces) are removed from the string, prior to the search. Also, the search is performed against a special search record which has been treated similarly. This assures that items are not omitted due to differences in punctuation, etc. Special Terms - There are special situations where non-punctuation searches are not productive. Take the example of a search for Perkins 4-108. This phrase would actually not be found because one of the resulting words ("4") is only a single character in length. Therefore, the search is also performed against the entire phrase at the same time. This example is somewhat special in its own right, because the phrase is sometimes found as Perkins 4.108 and sometimes as Perkins 4-108. It would be beneficial, therefor, to search it both ways. Partial Words - In order to maximize efficiency, the search engine was designed to search partial words as well. For example, if you try to find information on anchoring but don't get sufficient results, you can simply search on the word anchor. This will return results for anchoring as well. "Stop Words" - Google, like most other search sites, does not consider extremely common words when executing a search. This practice speeds up searching and reduces unintentional matches. These filtered words are known as stop words. While the list changes from time to time, there are currently over 650 such "Stop Words". The Westsail.info site follows the same practice when performing a string search, but performst the search as entered in a phrase search. Start Broad - For best results, start your searches very broad (only the most important key words) and add additional words to reduce results. If you are searching for something very specific, change the setting from Words to Phrase. It looks like gateway stanchion with support strut. Rather than having the lifeline run through a guide eye as with regular stanchions, there are hoops on the sides of the stanchion where the after and forward running lifelines are clipped. 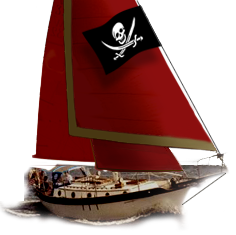 FLASH... Large inventory of used sailboat equipment, parts & supplies at great prices. After a 10-year circumnavigation in a Westsail 43, the owners are now clearing out all the excess and getting back to life ashore. Outfit your boat with well-kept equipment and save yourself a bunch of cash in the process! See the full list here!